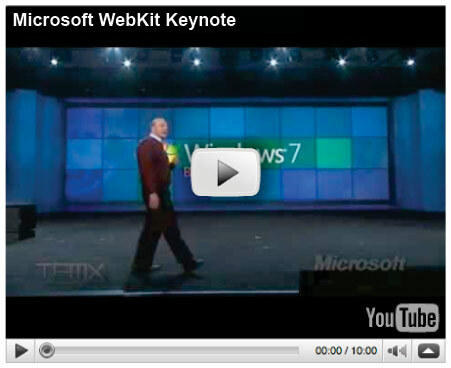 The change was unexpected, given the company’s long history of less-than-perfect support for web standards and general disapproval of open source software, though the move to WebKit may be the start of a new, friendlier Microsoft. Web designers have been voicing their approval, though surprisingly there have been a few opposed to the change of rendering engine. One company in particular, a design firm known as Plaid Mango Design, claims that the move to WebKit will cost them 40% of their income, which is made primarily from the extra fees they charge to develop CSS hacks to enable Internet Explorer to render their designs properly. Blogger James Edwards of SitePoint estimates that in twelve months or so Internet Explorer 6 should no longer be used by enough people to bother supporting, and has assembled a list of ten things that the end of IE6 will enable the web development community to do. My top three are 24-bit transparent PNGs, throw away 90% of CSS hacks, and make full use of min-width and max-width. Adii, the web designer who created Premium News Theme, and one of the people behind WooThemes, is seriously considering dropping Internet Explorer 6 support from future works, and charging a premium if a client requests it. I’ve been contemplating about what to do re: IE6 for a while now, and it wasn’t until Elliot published his announcement last week that I decided that I will indeed follow suite. So from now on, I will be adding a premium (probably 10% / 15%) on all custom design work, should the client request IE6 compliance. Go for it, Adii! IE6 is over seven years old now, which is rather long for any piece of static software (meaning software that dosn’t have software updates pushed to it, like an operating system or such). It’s CSS standards are laughable, and it’s about time it went away. 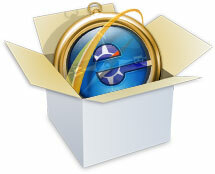 Do you want to do something to help combat Internet Explorer 6? Campaigns to kill the web browser that just won’t die: Internet Explorer 6. Min-width is a useful CSS property that, as it’s name suggests, sets the minimum width of an element to a specific pixel width (or em or whatever). It’s very useful. Just replace both instances of “850” with the minimum width you prefer. Not too hard, but it shouldn’t be necessary. This is yet another web-related topic that gets people arguing. Not quite as bad as “Mac vs. PC,” it really gets some people going. Which is better, a fixed-width layout, or a fluid one that resizes to fit the browser window. Unlike some people, I say that it depends on the project, and that there isn’t a one-size-fits-all solution (though I do lean slightly toward fixed-width layouts). Besides, if we all agreed on standards for everything, we wouldn’t have anything to argue about.. Both sides of the argument have their pluses and minuses, and generally I would say “go with what best suits the instance.” If you want a certain look, which will require vertical tile images, and other images of specific width, you may need to go with a fixed-width layout. If you want as much control as you can get over the look of your design, or if you need your content area to be a specific size, go with a fixed layout. Internet Explorer, a.k.a. the Web Designer’s Plague, unfortunately, isn’t available on the Mac. Many will say this is a good thing, but for designers, or anyone who makes many changes to their template, Internet Explorer is pretty much mandatory for testing. 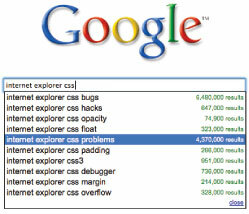 So many people use IE that you can’t afford to have too many major bugs in the behemoth browser. There aren’t many options for the large amount of Mac-using designers. To test a site in IE, your choices are pretty much limited to either using a PC, or using a virtual PC setup, like VMWare Fusion. If you have a PC on hand, good for you, you’re covered. Otherwise, you’d probably go for VMWare fusion, which costs $80 plus a $189 Windowss XP license. (Or you could just get the WinXP license and use the BootCamp software Apple provides with OS X 10.5) Rather pricey, though, isn’t it? Luckily, there’s another option out there, albeit a buggy and hacked-together option. It costs $0.00 though, so who cares if it’s a little buggy? IES4OSX allows you to run several different versions of Internet Explorer on your Mac, for testing designs, or using sites that refuse to work in your preferred browser. It’s a little buggy, it relies on X11, and it takes up a bit of CPU power. But it seems to render pages correctly the same as IE does.